Because there wouldn't be enough time in the world to do a comprehensive review of every horror movie I watch, and I'm painfully late to the game with some of these... enjoy these pithy little opinions of mine. Queen of Earth. I never fell fully into Queen of Earth, but there were things about it that I liked quite a bit; particularly the touches that called to mind Repulsion and other films of that ilk, and the performances by Elisabeth Moss and Katherine Waterston. It felt a bit like a play (think Who’s Afraid of Virginia Woolf? ), full of loquacious, unlikable people. That’s not something I’m typically opposed to, but it was difficult to watch two women “friends” treat each other so nastily. Basically, whether or not you’ll like it depends a lot on if you’re in the mood for that sort of thing. The Harvest. This movie has such a wild, silly premise (honestly, if I told you the entire plot, you’d probably assume I was describing a Lifetime movie), but because everyone involved takes it so seriously, and plays it off so well, it truly works. Samantha Morton and Michael Shannon are so studiously solemn in their separate brands of craziness that by the time you see the rabbit hole they’ve led you down, you’re all in no matter what. 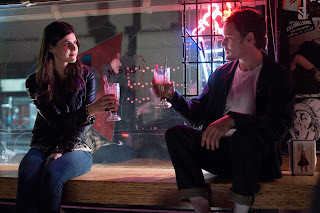 Burying the Ex. I know this got poor reviews and lots of people said it was boring and stuff, but… I liked it! It’s not Joe Dante’s greatest work, but I found it genuinely fun, if simple. This is what a zom-rom-com should be - gross and goofy (don't even give me that "zombies can be hot" thing, Warm Bodies). Ashley Greene is great; I’m not opposed to the insular, hipster horror nerd world put on display; and frankly, I loved the color palette. That’s enough to make for a fun little flick in my book, at least from time to time. Maggie. This was very sad, and very beautiful, if you can call watching someone die of a terminal illness “beautiful.” Which is essentially what being a zombie is in the world of Maggie. 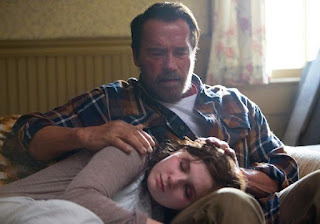 Arnold Schwarzenegger is surprisingly soulful, and I think this is one of Abigail Breslin’s best roles to date (despite it seeming highly dubious that she could ever be related to Schwarzenegger). 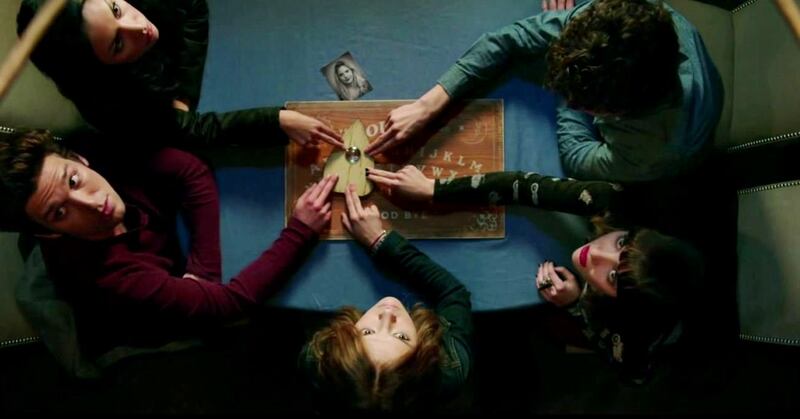 Poltergeist (2015). I went into this expecting not to like it much, and… well, I was right. This movie has none of the heart of the original and suffers greatly by bringing nothing new to the table. The original is hardly even what I would call a horror movie – it was written by Steven Spielberg and directed by Tobe Hooper, which explains a lot – but it works in that Spielbergian-adventure-movie way. Although the remake was branded as straight horror and it makes some flaccid attempts to scare, it’s straight up dull. Not even Rosemary DeWitt and Sam Rockwell (both of whom I love, I swear) could save this. 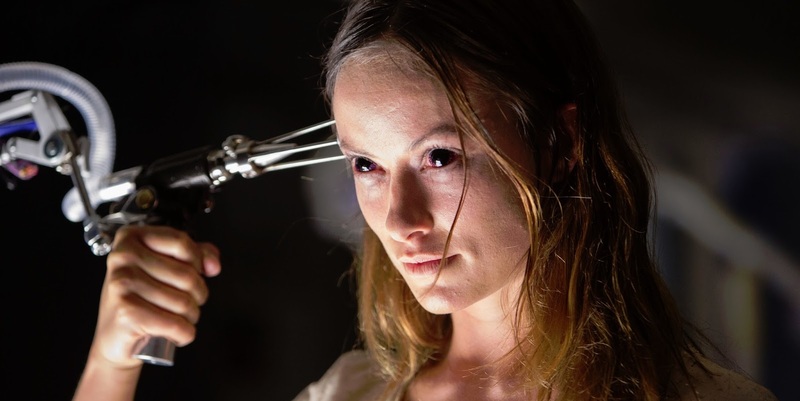 The Lazarus Effect. This seemed kind of promising to me at the beginning (that dog really gave me a few good jump scares), but when it became clear that the entire movie was going to take place in the laboratory over the course of a single night, the options for where the story could go narrowed considerably. The plot became very rushed halfway through, and it was all downhill and full of clichés from there. Disappointing, but watchable. Ouija. Why do I do this to myself? Maybe because a part of me secretly still enjoys watching the atrocious Prom Night remake with Brittany Snow? Because apparently I love watching pretty, overly coiffed actresses run around dark stairwells? I don’t know, but this was still abysmal and not even remotely pleasurable. Unfriended. I’m not a big proponent of found footage (unless it’s as original and creepy as, say, The Midnight Swim), and I’m even less enamored with found footage that takes place solely on a computer screen. It’s not dynamic, and it’s really difficult to garner scares with this technique. Unfriended isn’t the worst offender in the found footage genre, but I wouldn’t recommend it. For a more serviceable job doing the all-on-a-computer-screen gimmick, watch The Den. Spring. Here’s a really original horror/sci-fi with one of my favorite underrated actors, Lou Taylor Pucci. If I could plop him into half the horror movies I see, I think they’d all benefit. Spring isn’t that scary, but Pucci infuses it with so much emotion that you get carried away with the story. Anyway, I liked this a lot. What movies have you seen lately? Leave your opinions in the comments!